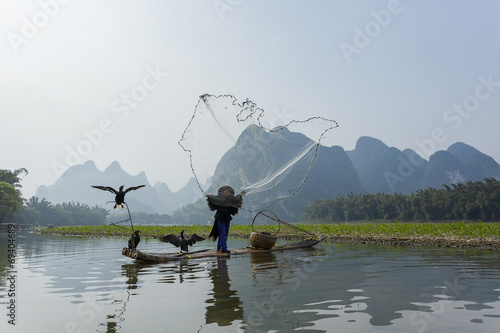 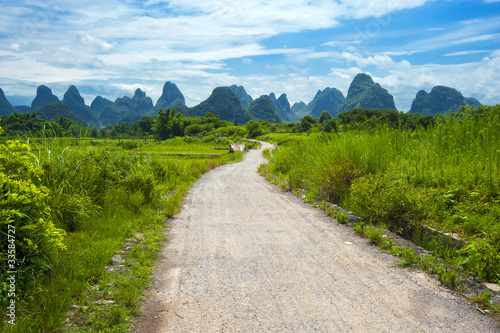 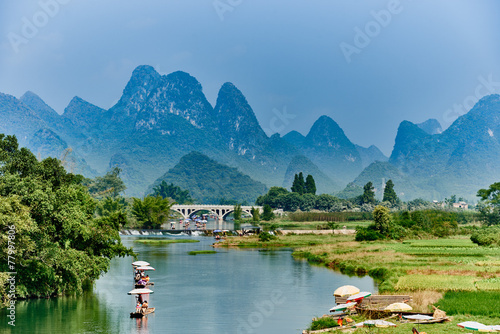 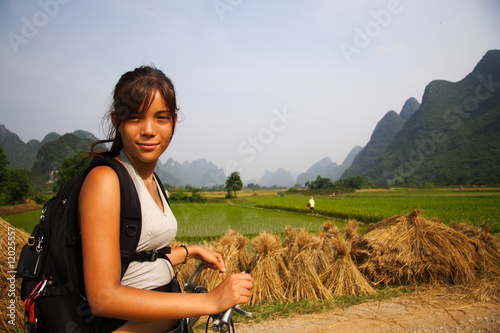 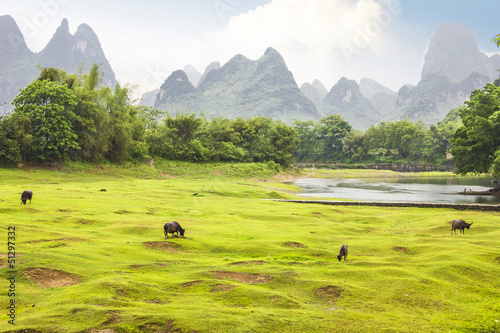 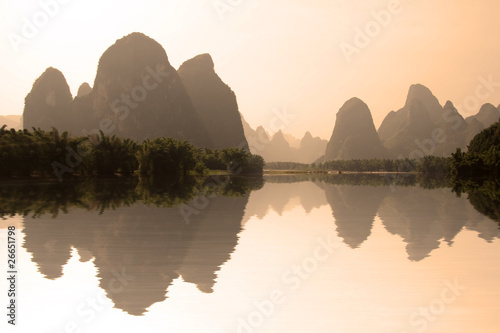 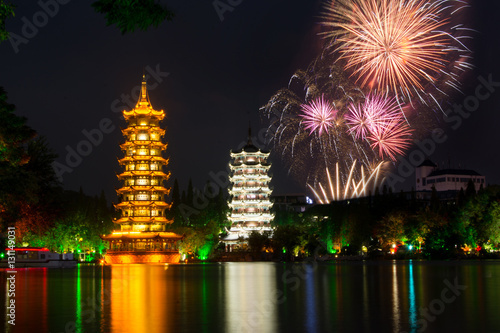 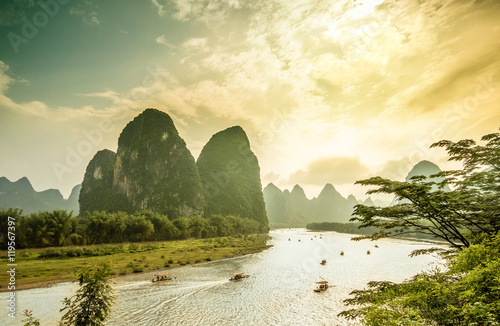 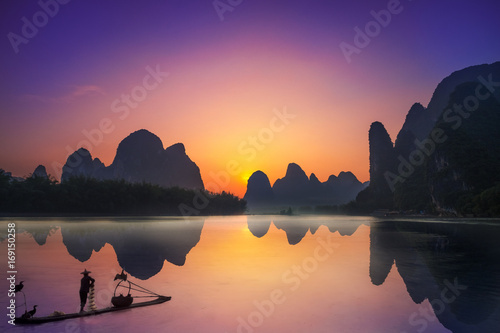 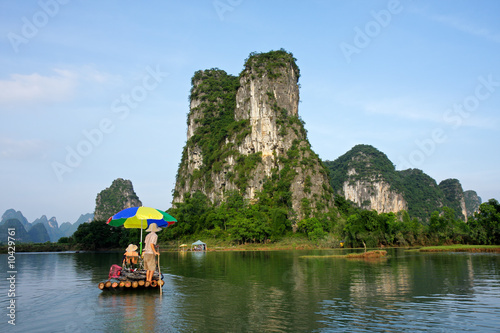 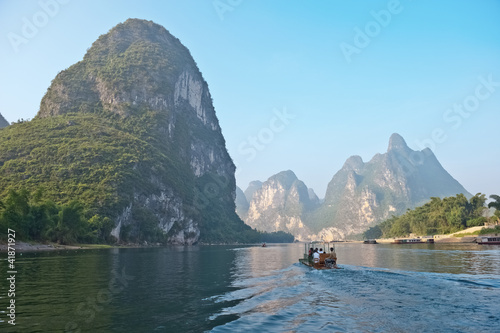 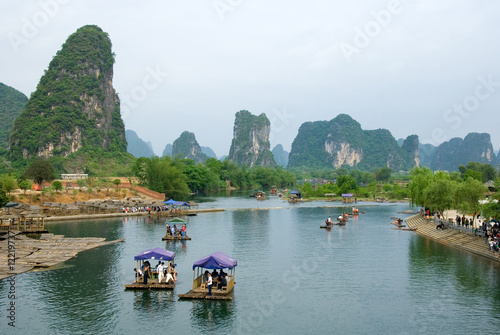 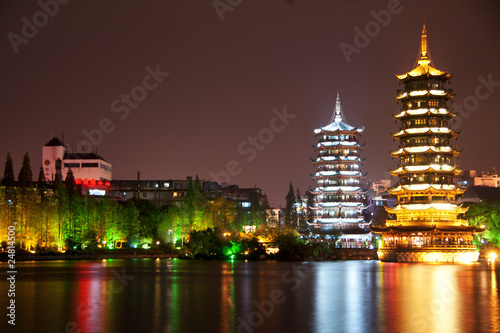 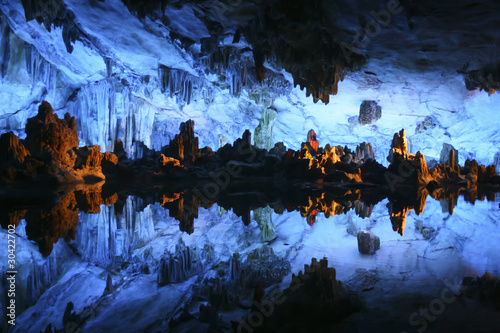 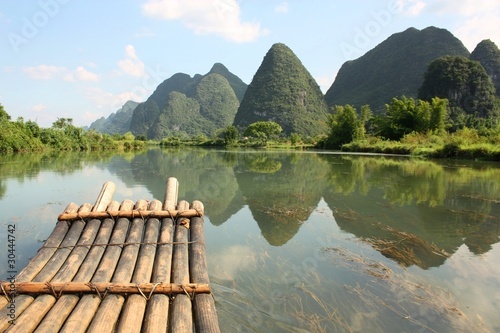 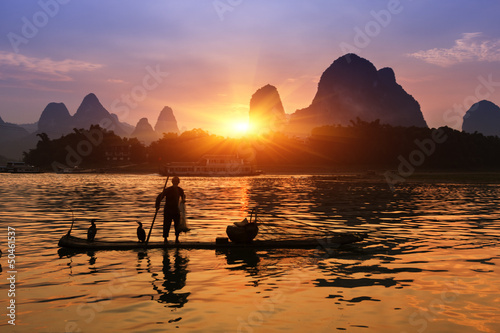 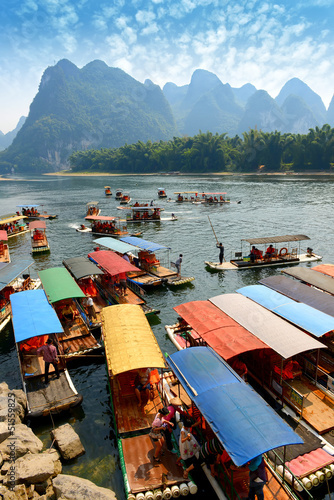 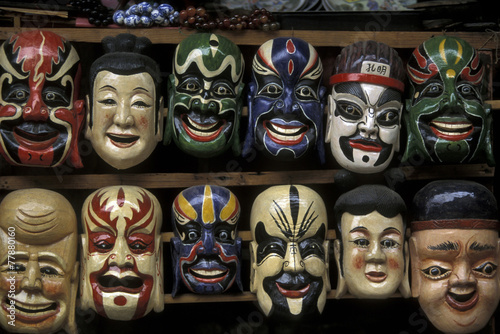 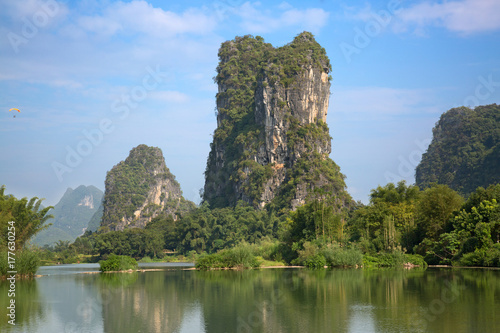 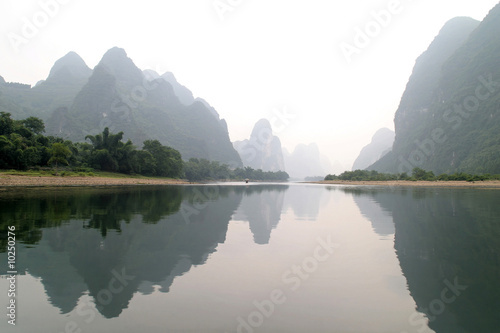 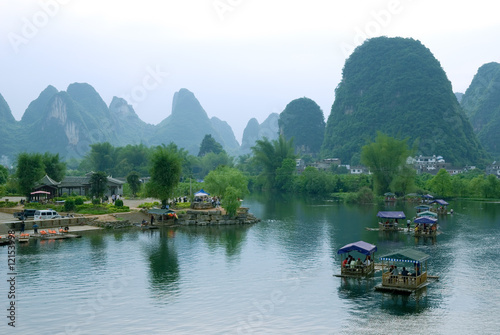 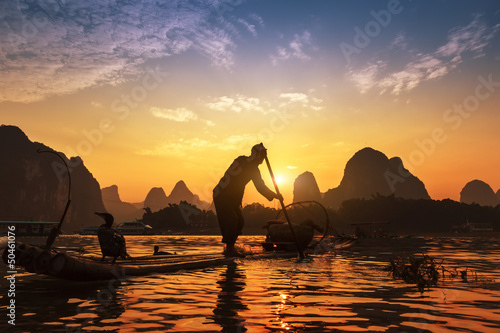 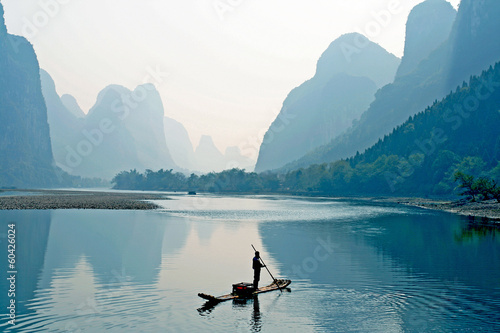 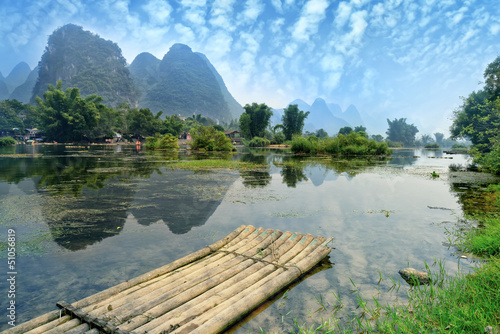 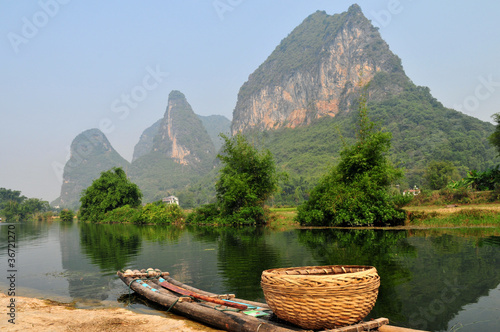 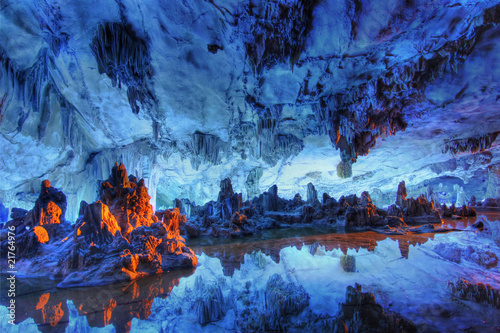 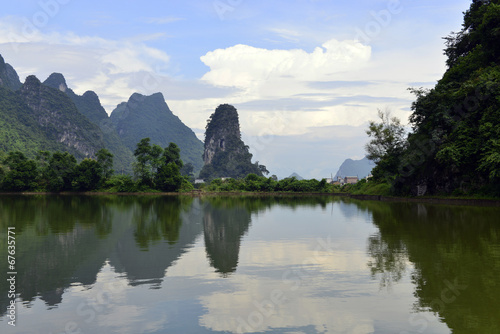 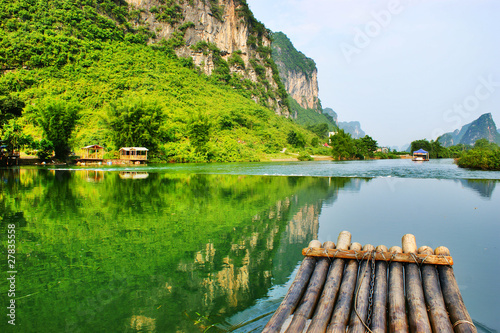 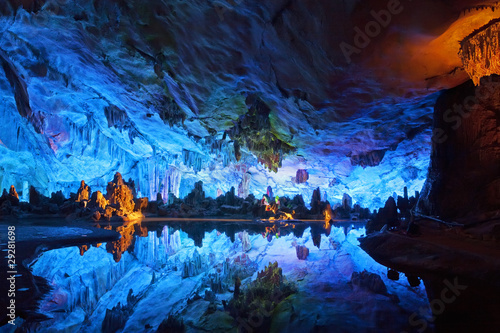 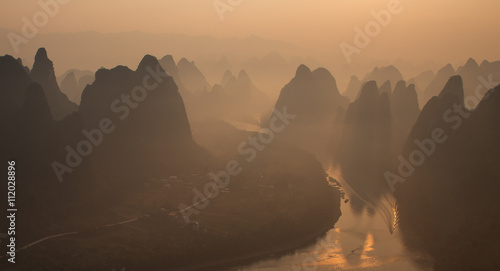 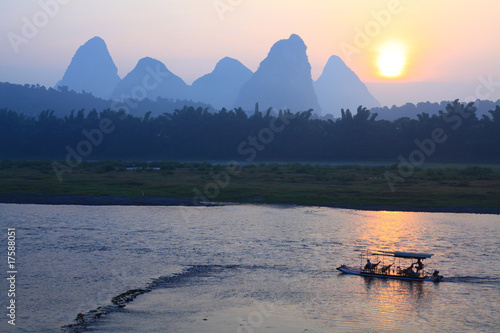 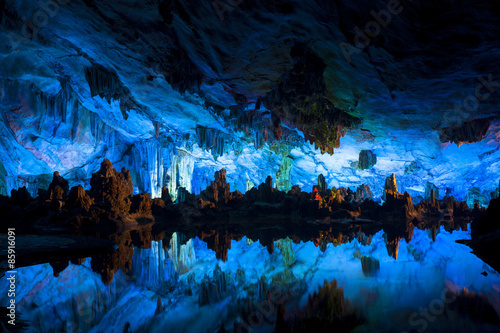 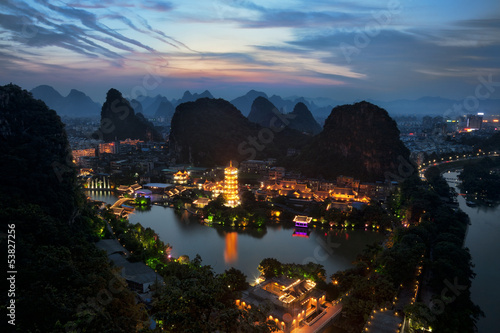 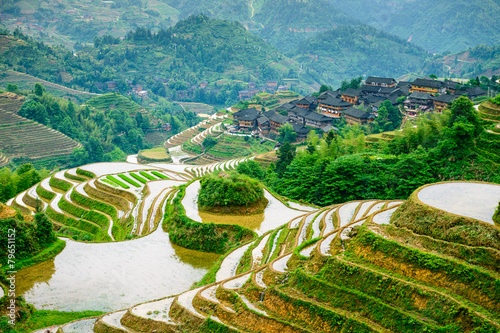 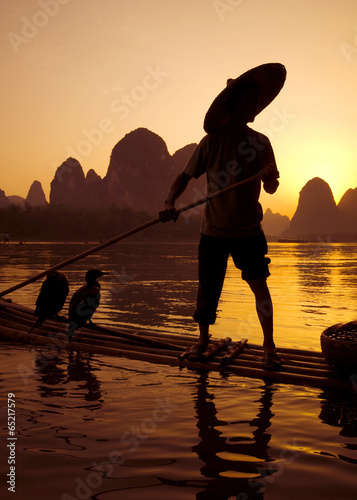 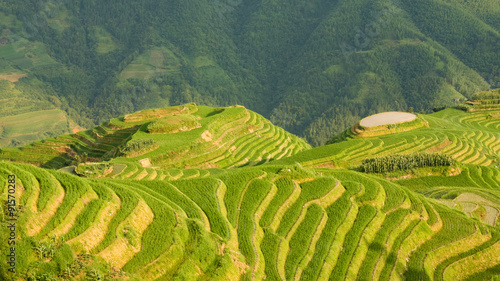 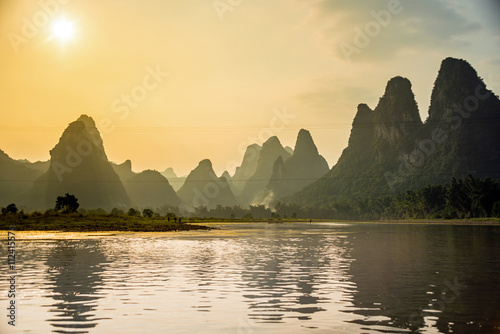 The Guilin landscape pictures - Guilin Li River. 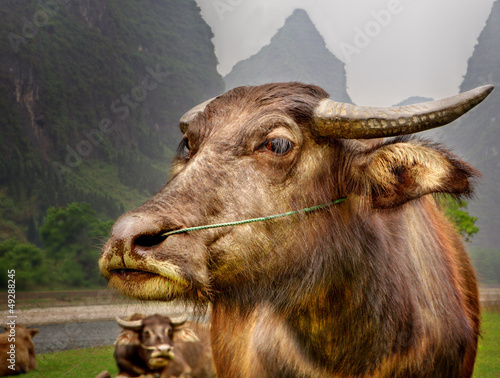 Buffalo home. 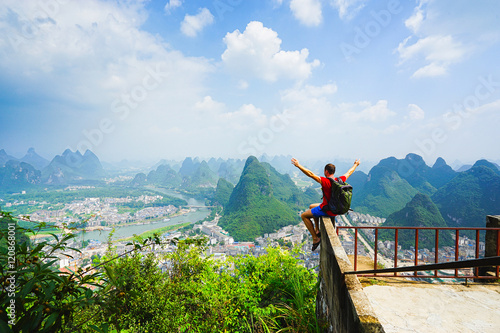 Hiker sitting on the top of hill with raised hands and enjoing view on the valley with city and mountains. 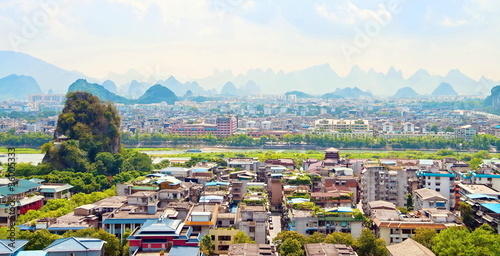 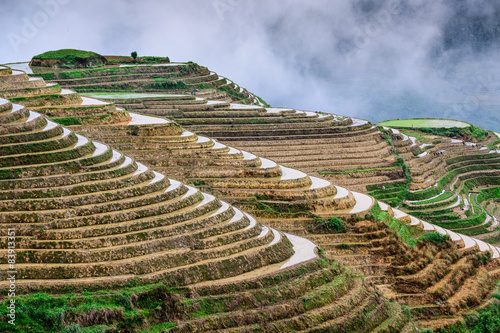 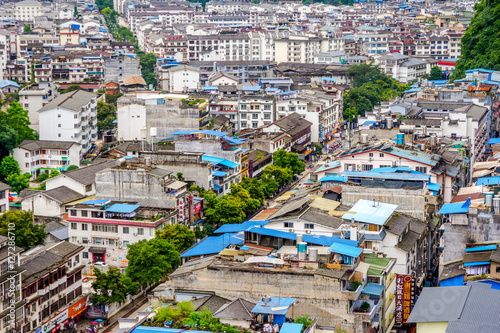 Yangshou, China.